See more objects with the tag interior, decoration, domestic, home, landscape, borders, display, dining, factory, interior design, tableware, concentric, stars, buildings. See more objects with the color silver darkolivegreen darkslategrey grey darkolivegreen or see all the colors for this object. This is a Plate depicting Sèvres Porcelain Factory. 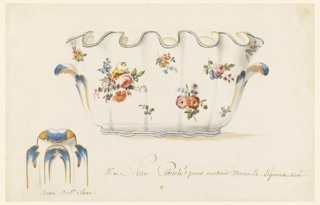 It was manufactured by Sèvres Porcelain Manufactory. It is dated 1822 and we acquired it in 1936. Its medium is enameled, gilt and glazed hard-paste porcelain. It is a part of the Product Design and Decorative Arts department. 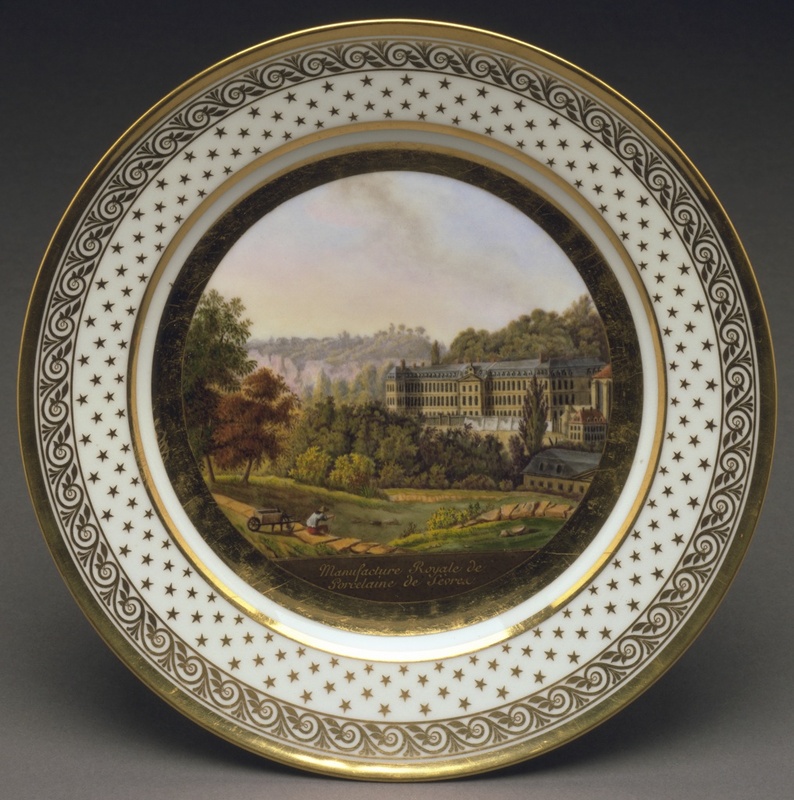 This plate shows a picturesque view of Sèvres, the prestigious French porcelain factory located near Paris. The surrounding countryside had plots of land where Sèvres workers could garden. The figure resting by a wheelbarrow may very well be one of them. The lush greenery surrounding the iconic building may represent the so-called “liberty trees” that were planted on the grounds, during the Revolution, in order to demonstrate the manufactory’s commitment to the republic, and to downplay its connection with the monarchy. Remarkably, the manufactory stayed open throughout the revolution, and even later thrived under the reign of Napoleon and the Bourbon restoration. The plate’s superb enamel painting displays minute details and a fine naturalism. 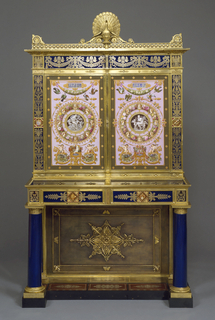 The skilled artist responsible for it was a Mlle Delavale, who worked at the manufactory for two years, from 1821. Following convention, she copied printed sources; this view of the Sèvres manufactory is based on an engraving, after an 1817 drawing by Achille Etna Michallon. This object was featured in our Object of the Day series in a post titled Sèvres Self Portrait. This object was catalogued by Calvin S. Hathaway. It is credited Gift of George B. and Georgiana L. McClellan.